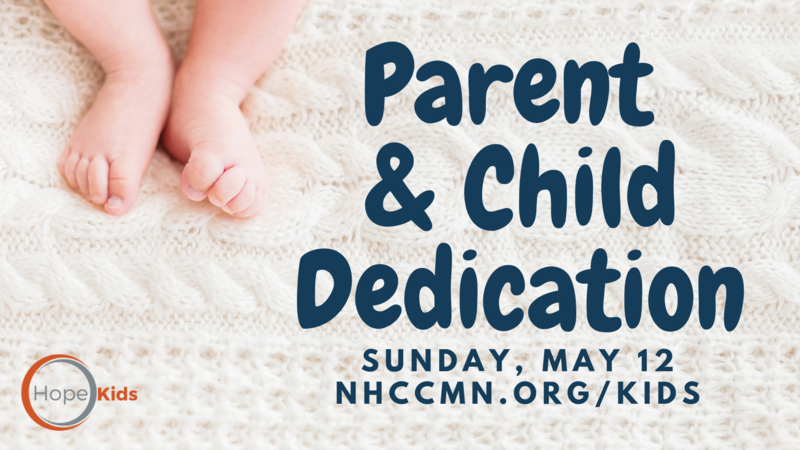 On Sunday, May 12 (Mother’s Day) we invite you to publicly make a commitment to raise your child to be a passionate follower of Jesus Christ. Learn more and sign up at nhccmn.org/kids or contact [email protected]. HopeKids is honored to partner with you from the very beginning of your journey as parents and want to be a consistent source of encouragement, strength, and a resource as you raise your child to have a personal relationship with Jesus Christ! 1. Complete the application form by May 4. The sooner the application is in, the better. Thank you. If you have any questions, please contact Pastor Wendy at the office 763-552-7979 or send an email to [email protected].